Security Expert Centre » Research Dossier → How can Kyiv and Brussels improve their relations? Research Dossier → How can Kyiv and Brussels improve their relations? EU policy towards Ukraine since 2003 has been based on the European Neighborhood Policy (ENP), which does not provide for potential membership. At the same time, it gives Ukraine access to some EU instruments that were previously granted only to candidate countries. In addition to Ukraine, within this policy, the EU is building relations with 16 other countries on the southern and eastern borders of the European Union (including Palestine). Importantly, the EU’s neighborhood policy is the result of a compromise between the member states of the Union. And today the position of influential EU members is not in favour of changing the existing approach towards its eastern neighbours, especially regarding their integration opportunities. The 2015 ENP review only confirmed this view; it does not even provide long-term prospects for transition into enlargement policy for individual ENP countries. However, the latest ENP review reinforces the principle of differentiation, which involves changing relations with some countries to a level that they want themselves. For example, negotiations have been underway to create new Partnership Agreements with Armenia and Azerbaijan (which has already received approval from Moscow) to replace the Association Agreement. In 2013, when Viktor Yanukovych asked for some compromise from the EU, such an opportunity was not even discussed. With this change of approach, the European Union combines efforts to overcome current crises in its neighborhood. However, it does not offer a strategic vision of relations with these countries on a long-term basis. 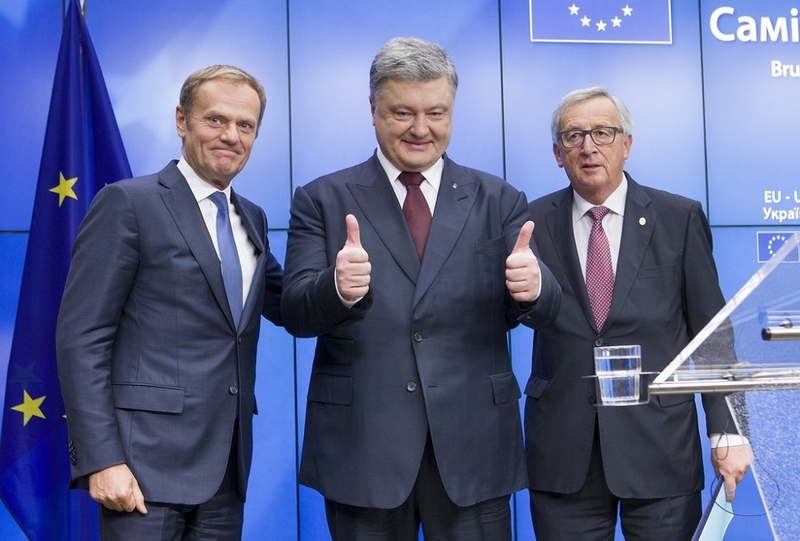 Today, thanks to the EuroMaidan revolution, relations between Ukraine and the EU are much better than in 2013. This Autumn the next Eastern Partnership summit will take place in Brussels. Clearly, the gap in relations between the EU and the signatories to the Association Agreement (Ukraine, Georgia and Moldova) and those who did not sign the agreement are becoming too large to preserve the existing format of the initiative. It is here that Ukraine, together with Georgia and Moldova, must take advantage of the opportunity and develop proposals on the prospects for the transformation of the Eastern Partnership, which takes into account the political situation in the EU itself. And it will give them time to be better prepared for integration requirements. A possible solution for the Eastern Partnership may be to refocus relations with Azerbaijan, Armenia and Belarus on a bilateral basis, according to the principle of differentiation. At the same time, the EU could strengthen its cooperation with Ukraine, Georgia and Moldova by developing “Marshall Plans” for the region. In case of Ukraine, such an initiative is already under discussion. It is also necessary to strengthen the role of the signatories of the Association Agreement in the EU External Investment Plan and the European Fund for Sustainable Development (EFSD). This can be achieved through increasing the contributions to the EFSD Guarantee Fund of these EU member states (such as Germany and Poland) that are interested in strengthening the economies of the eastern neighbours. This will increase private investment in these economies by reducing the risk of losses for investors. These countries need updated infrastructure and to strengthen the position of small and medium-sized businesses in their economies. For quite some time, the EU policy in the region was based on the principle of “more for more”. It allowed some necessary reforms in exchange for access to relevant “bonuses” from the EU. The most recent of these was the visa-free regime, which, since June 2017, operates in all three countries that have signed the Association Agreement. Therefore, with this model of relations, the EU exhausts its ability to provide more, especially in the political aspect. This should be understood against the backdrop of the fact that a number of reforms carrying the appropriate internal political risks and without far-reaching goals, such as a membership perspective, pushing reforms and acquis communautaire will be harder. The aforementioned economic opportunities, which may increase in line with the level of reforms, must replace these political bonuses. In addition, the EU should continue to support civil society in these countries and increase its role in domestic political processes. It is worthwhile to increase the participation of the countries of the “renewed Eastern Partnership” in the decision-making process within the EU itself, concerning the economic and political actions of the Union in the region. The EU has for a long time emphasised the need to increase the involvement of the Eastern Partnership countries in these processes. Therefore, it is necessary to determine the priorities and the required level of this involvement. The Association Agreement is a rather comprehensive document and, in order to fulfill its commitments, Ukraine needs to do a lot of internal homework. Unfortunately, today it is done half-heartedly and under pressure from the EU, other Western countries and parts of civil society. In the December statement of the EU, concerning the referendum in the Netherlands, besides the painful words for Ukrainians about the lack of membership prospects, there were words about the priority of anti-corruption reforms in the relations with Ukraine. But it still has not had much achievement in this field, as the country is 131st (130th in 2015) among the 176 states in the Transparency International Corruption Perceptions Index 2016. Therefore, the dreams of quick membership in the EU should be replaced by a pragmatic approach of using the opportunities provided by EU instruments to modernise the country and strengthen its institutions.